Russell Head with Head Capital Advisors is the featured presenter for the Augusta Metro Chamber’s Third Thursday Business Builder on August 16. Russell will review the ‘Top 10 “Got to Know” Tips for Strategic Benefit Planning’. Guests will learn beneficial information on planning for valuable and cost-conscious employee benefit provisions. Between the concerns of rising costs and the abundance of options, healthcare benefits are an ever-changing landscape and a strategic plan can be the roadmap to setting and meeting priorities for both employees and a company’s bottom-line. Russell will dive into the realities of healthcare benefit options and share the top 10 tips for successful plan management. Russell Head is the CEO of the recently formed Acrisure firm, Head Capital Advisors. Russell is responsible for designing, developing and implementing risk management products and services for the firm. These services include carrier selection and management, vendor evaluation, financial analysis, population health management, and client strategic planning. 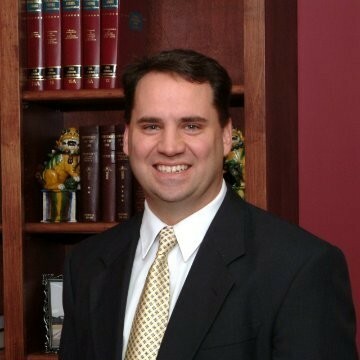 Russell has 26 years of experience in the financial and employee benefits consulting industry. Russell is a graduate of Berry College with a BS in Interdisciplinary in Social Science with a major emphasis in Business and Psychology. Russell has earned the designations of Chartered Benefits Consultant (CBC) and Certified Senior Advisor (CSA). The August Third Thursday Business Builder will be held at the Augusta Metro Chamber office and begins at 11:30 am with lunch provided. Attendance is complimentary for Chamber members and $15 for prospective-members. Advanced registration is required at AugustaMetroChamber.com. Deadline to register is Monday, August 13. Due to limited space, please limit to one (1) representative from each company. For more information, please contact Sabrina Balthrop, Director of Events, at Sabrina.Balthrop@augustametrochamber.com or by calling 706.821.1300.